Gearbest is a Chinese ecommerce store similar to Amazon. If you haven't heard of it then you're in for a treat. It's weird and wonderful. If you have heard of Gearbest you're probably shaking your phone or laptop - What are you talking about Tom?! Gearbest is rubbish! And, I would probably have agreed with you... two years ago. Two years ago if you had ordered something from Gearbest there was a 50/50 chance it wouldn't turn up. Now, albeit still a month later, deliveries seem to turn up every time. Two years ago the website was bizarre. 100s of pop-ups, deals, flash deals, lightning deals, instant deals, $99c deals, promotion codes, coupons, extra vouchers... it was way too much. Things are still intense now but easier to use. Here I hope to show some of it to you... But I'm telling you... it's weird. When you're on the website, the first thing you'll want to do is change the country and currency at the top. There are thousands more deals available on gearbest.com than there are on uk.gearbest.com, even though you can order everything on both sites in GBP£ and have it delivered in the UK. Gearbest Flash Sales are similar to Amazon's Lightning Deals. Every 4 - 6 hours a new batch of deals become available and some are actually quite good. Gearbest always has extra deals you can stack. When you click on a deal go to the right hand side and look for "Promo"
So you end up getting two for £15.60. This is just one example of dozens you can find every day. Very often there are big sitewide discounts. For example, spend over £30 and get an extra £10 off. This can be great to stack with Flash Sale products. This is the most important tip of all. You must use PayPal. Because Gearbest is based in China, it isn't bound by any UK consumer rights. There's no one you can turn to if things go wrong. So use PayPal. PayPal will give you a refund if things go wrong or if the product doesn't turn up - but remember, it can take a month for it to turn up (it's coming from China!). Tip 7 - But isn't it all Chinese tat? Yes and no. Nearly everything in the world is now manufactured in China so whether you buy it from Tesco, Argos, Amazon or H&M it's probably come from China. But there is certainly a risk of it having lower quality. An important thing you need to check for electrical items is whether it's coming with a UK plug or not. If not, you'll need a converter. It usually says in the description - and this is one reason you should use uk.gearbest.com (because it's partially filtered for European electronics). 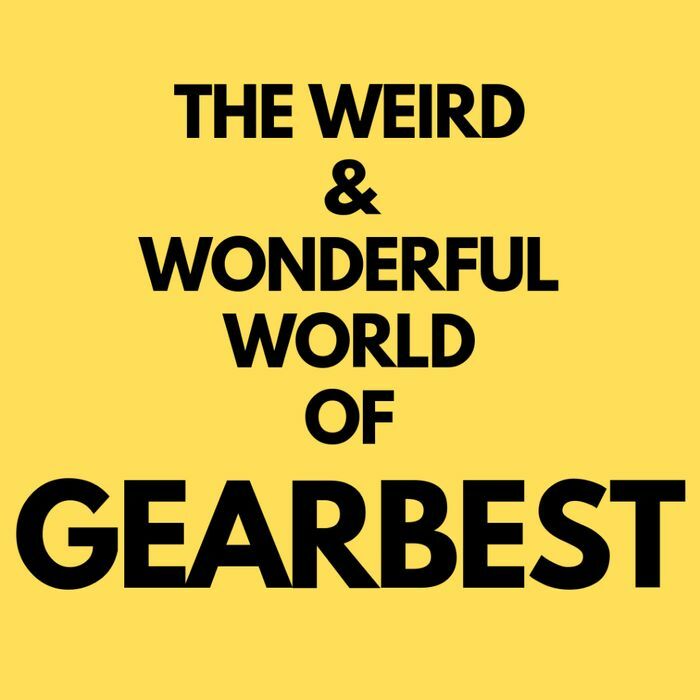 I hope you've enjoyed this little introduction to Gearbest.com, take a look and happy deal hunting. What do you think of this GearBest deal? You're welcome. It is an interesting website. Will have a proper look tomorrow. Looks interesting.